The way the body responds to an allergen is to mount a defense of histamines, to combat the invader. In order for the body to be more efficient it provides an overabundance of histamines those results in the symptoms that most of us associate with the allergen. It is actually our body's response that has been overdoing it that causes the most negative of symptoms. By relaxing the body's response you can actually reduce the overall negative effects of the exposure to allergy. 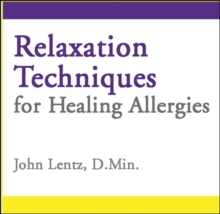 Based upon studies that showed the effectiveness of this approach it has also been demonstrated over and over clinically by people who used these techniques to lower their symptoms to allergies. While this MP3 has been shown to lower or eliminate symptoms of allergies it should never be used instead of good sense with potentially dangerous allergies like peanuts, bee stings etc. Although it will lower the person's vulnerability even to those allergens, it cannot be expected to protect a person with such high sensitivity. While repeated listening is useful initially, once you are able to utilize these techniques you can do them anywhere to amplify your immunity to allergies.